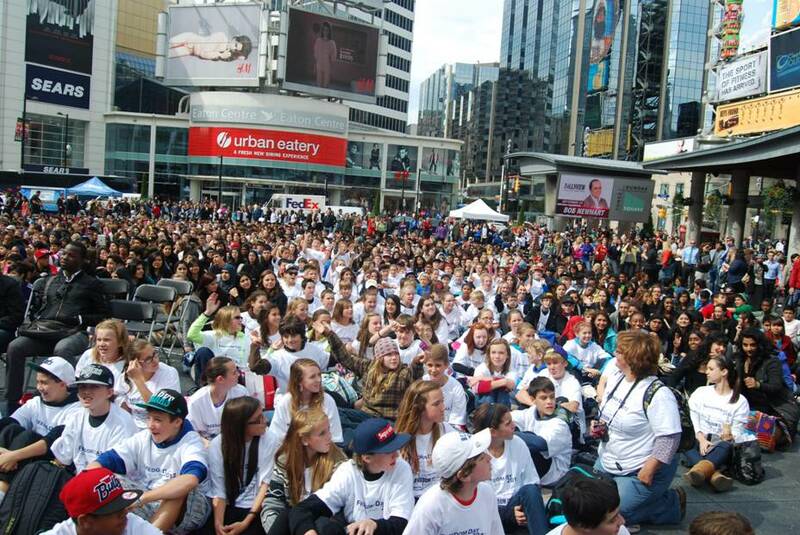 Nearly 4,000 elementary and high school students from across Ontario gathered at Yonge-Dundas Square downtown on September. 20, 2012 for Freedom Day. The whole purpose of Freedom Day is to celebrate Canada’s rights and freedoms, commemorate the life and legacy of Simon Wiesenthal – a holocaust survivor who tracked down Nazis to be tried for war crimes, and to raise awareness about human rights and empower youth to effect positive change.